Look at this picture you guys! 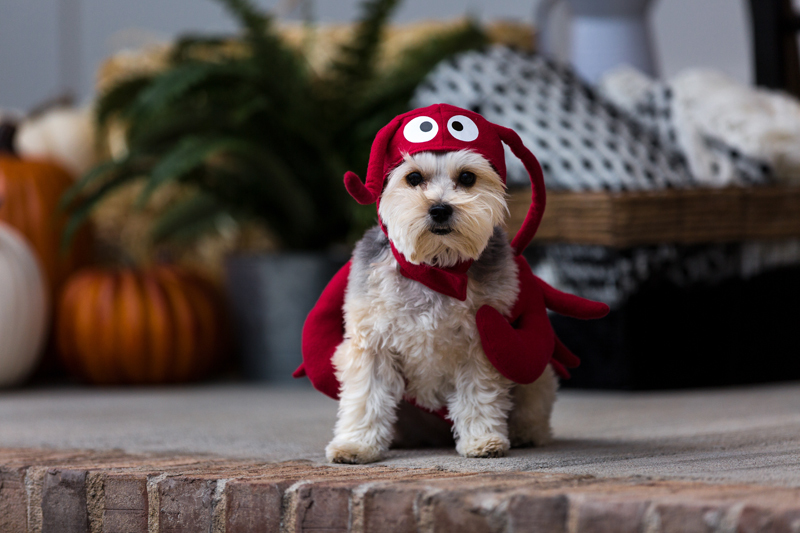 Poppy was so cute and totally owned her Lobster Dog Costume while on set at a recent photo shoot. For those of us with fur babies, including them in family festivities is often a given. This sometimes includes dressing them up for different occasions, especially Halloween. Check out below some Halloween pet costumes you can make with Cricut Maker. If you are planning to DIY your pet’s costume this year, let us know in the comment section below. Ok, not all cats are cool wearing costumes or clothing (anyone have any stories to share?). The only option for our cat Jasper is a bandana. 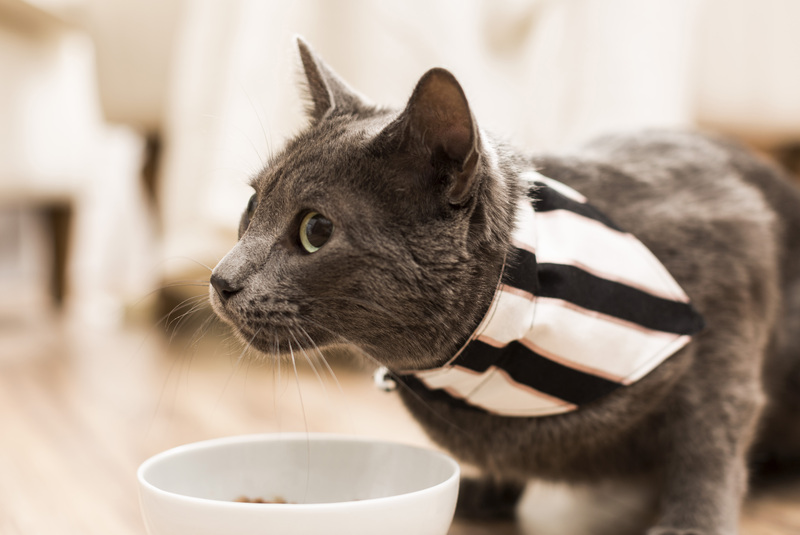 This simple bandana design is sized just right for most cats and is a perfect project to personalize. Think about how you might embellish the bandana so it complements your own costume theme–maybe a pirate kitty with a skull-and-crossbones’ bandana? 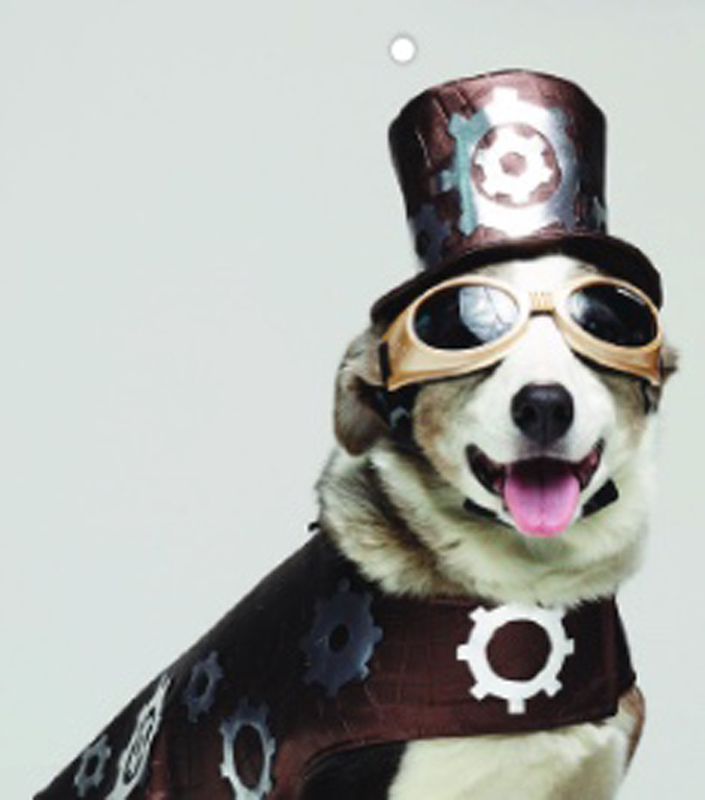 For all of you steampunk fans out there, here is the perfect pet getup. Our friends at Simplicity® came up with this pattern that comes with great step-by-step instructions in Design Space™. The gear embellishments on the top hat are just perfect. My dog would not stand for the goggles, but the hat and cape would be perfect. Would your dog be patient enough wear goggles? Looking for something a little less complicated for that pup that does not like things attached to her head? 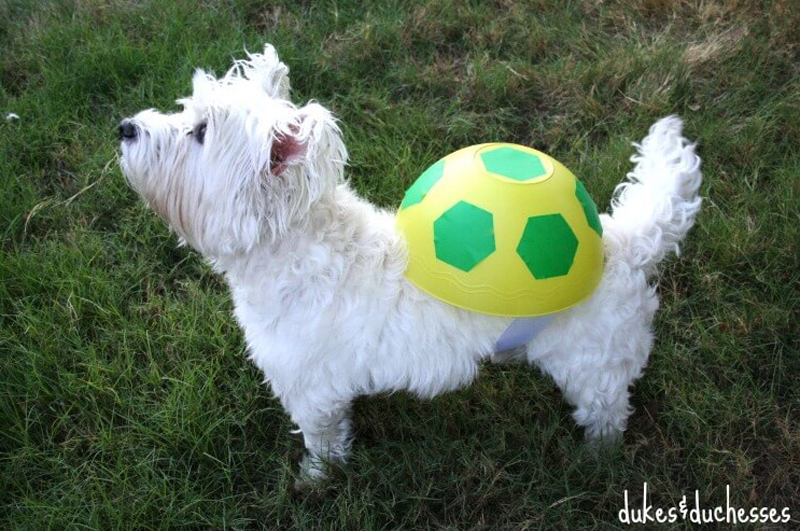 Check out this cute little turtle shell costume from Dukes & Duchesses. 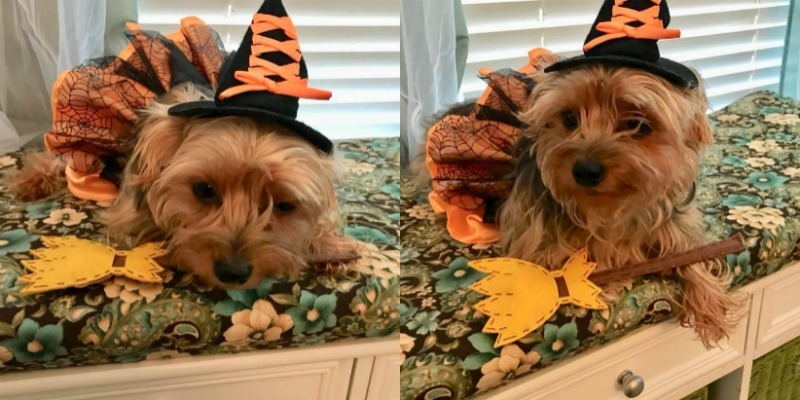 Cindy Samaritani made this amazingly cute witch costume for her puppy. Check out the broom she made using her Maker! Too cute. Thanks for sharing Cindy! Ok, this is not really a Halloween costume. But the Halloween-orange collar Gunner got from his Mom Angie Imirie caught my eye. Let’s face it, not all pups are going to allow you to come even 5 feet from them to put a costume on. But, the collar is a given and personalizing it with their name is so fun. 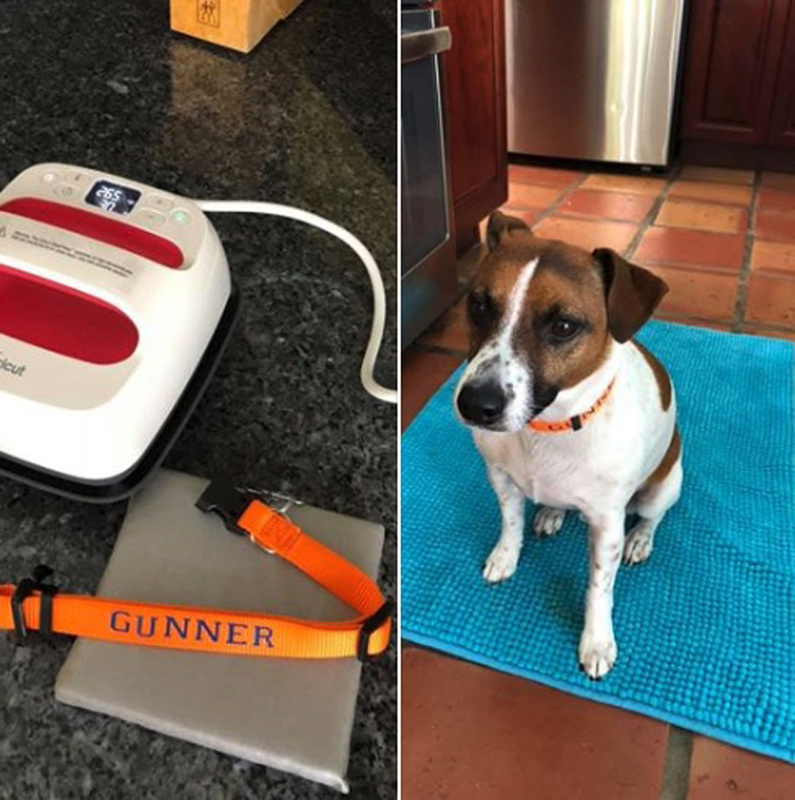 Angie used the 6” x 7” EasyPress 2 and Iron-On to customize Gunnar’s collar. She said about her making success, “The small EasyPress 2 Makes all the “small” iron-on projects SO easy!!!!”. I could not resist adding another shot of Poppy (BTW, Poppy’s mom is none other than our own Karley Hall). I hope you enjoyed checking out these costume ideas and please do share with us your own costume ideas. For more Halloween costume, décor and party ideas, check out the hundreds of projects in Design Space® and be sure to check out our other Halloween Craftspiration blogs .